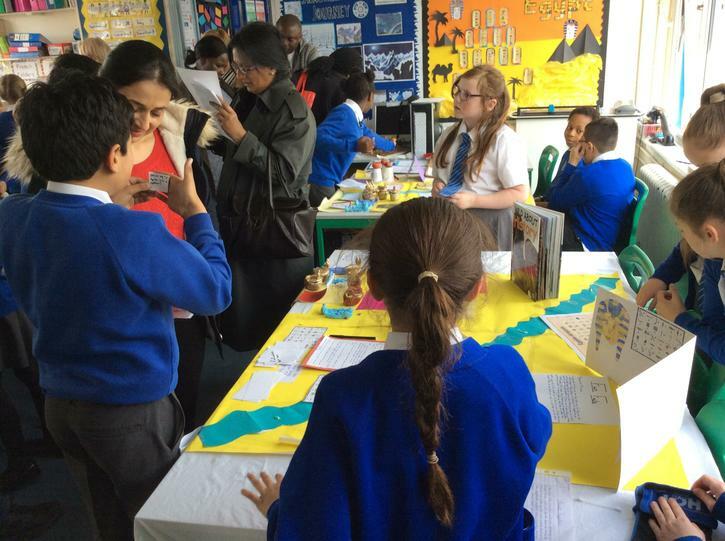 Thank you to all of the parents who experienced Year Five's Egyptian Exhibition this afternoon. 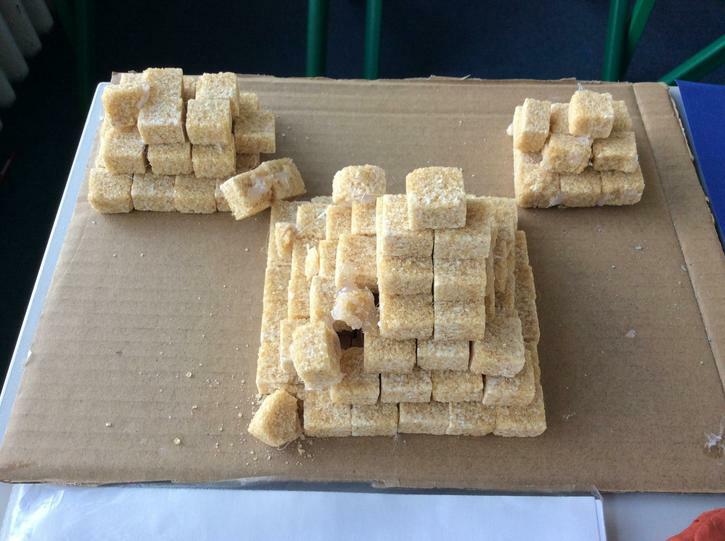 It was very impressive to see how hard all of the children had worked to produce some outstanding pieces of work. 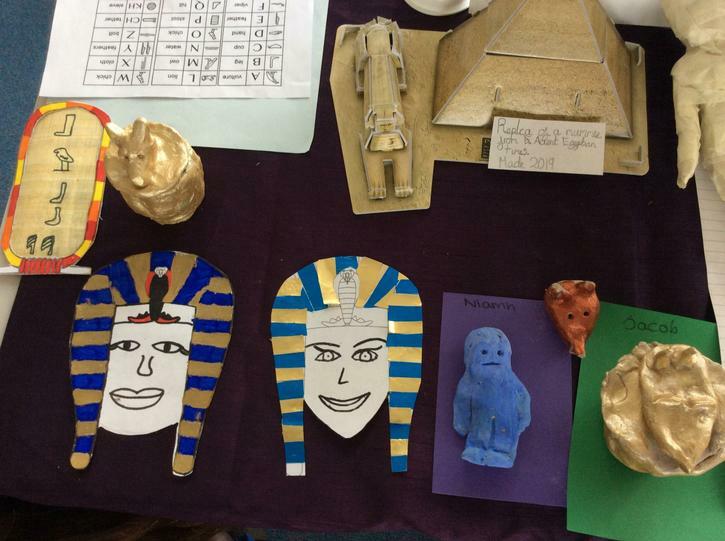 The children had mummified tomatoes, constructed pyramids, created canopic jars and written in hieroglyphics. 1. What did you enjoy about today? 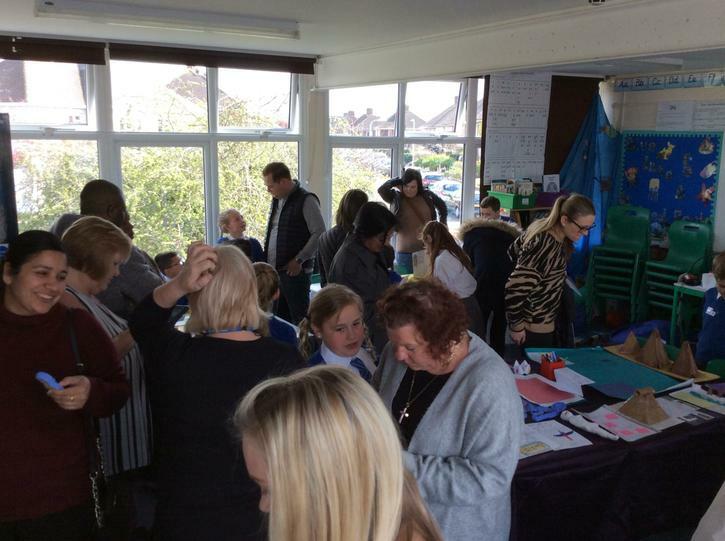 The variety of activities on display, and the excitement of the children showing off their work. Seeing all of the children’s hard work. 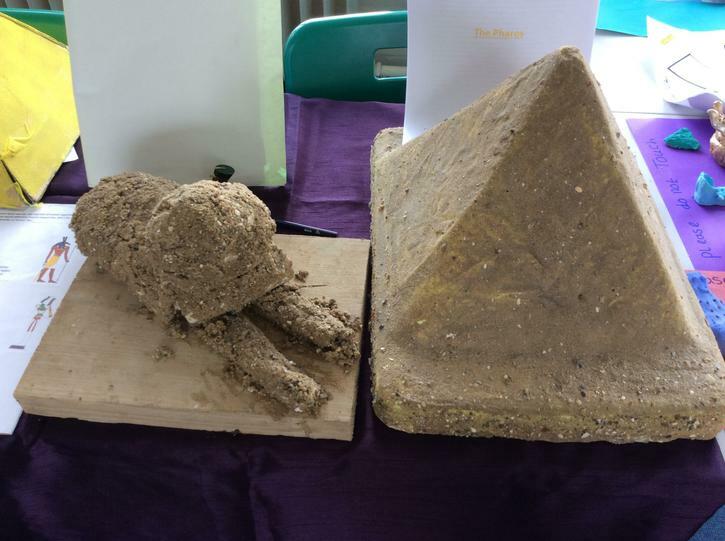 It is very apparent that the children have really enjoyed this topic! Seeing all the work especially the lovely art work. The welcoming outlay.and feeling able to walk around to see all the projects. The variety of the work and high standards. 2. How do you think this has benefitted your child's learning? 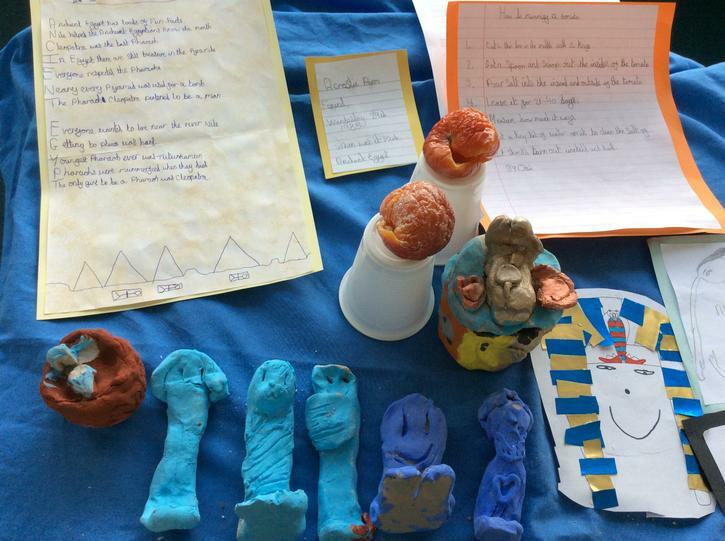 Deeper understanding of life in Ancient Egypt and helping them to develop confidence when presenting to adults. Lots of hands on work which brings things to life more. 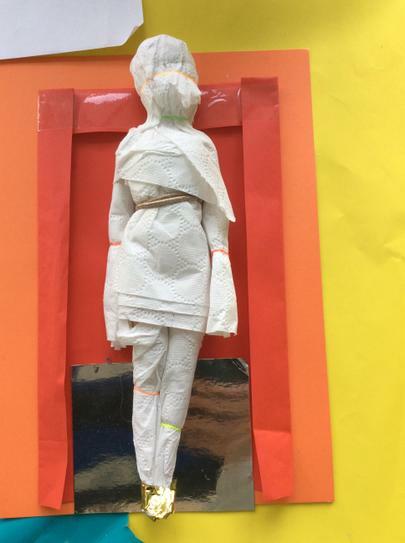 My child was able to let her imagination flow and her knowledge of Egyptian history has greatly improved. By giving her a wider view of the world. 3. How has this contributed towards your child's well-being? Greatly improved her confidence. My child has enjoyed this subject. She is happy at school. Has helped in giving him confidence speaking to other people. Makes him happy. Please look at some of the photos and we can't wait to invite you all in for the next one!